My inflatable device will not inflate and hold air; what is wrong with it? 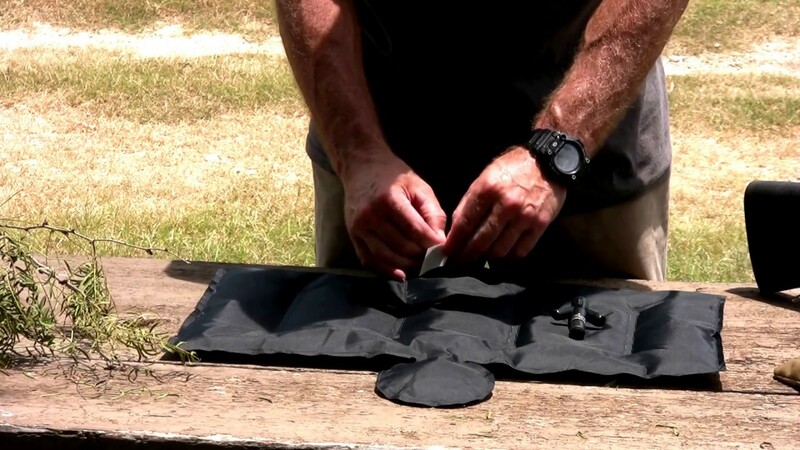 If you are trying to inflate a gun case, ensure the deflation cap is tightened and secured; double check to make sure the cap is seated properly in the threads and is not cross-threaded. Additionally, make sure the oral inflation valve extends to the locked position after inflation is complete for any product. If the valve is stuck in the down position, you may simply bump or twist the rubber oral valve to seat it. If you’re bladder still doesn’t hold air, you may have a small leak. Remove the bladder from the case, per your device’s Owner’s Manual, and try to identify a leak or tear in your bladder. You should be able to hear a subtle hissing sound coming from the source of the leak. Once the leak is identified, use one or both of the Tear-Aid repair patches provided to you to repair the leak as outlined in your device’s Owner’s Manual. If you cannot find a leak or if the repair does not work, please proceed to contact us for further guidance/replacement. What methods can I use to inflate the product and do I need any special tools? While no special tools are required, you may find it easier to inflate the products by utilizing the alternate air source mentioned above. Use caution when utilizing these alternate inflation sources as high flow rates could exceed the capacities of the pressure relief valve, causing damage to the bladder. If using an air compressor, the most important thing is to regulate the outlet pressure. We have found that 45 psi or less at the outlet is safe for inflation. Anything higher will run the risk of damaging the bladder. It may be beneficial to monitor the air pressure as you are inflating your product to make sure you are not exceeding it’s safety threshold. 1-1.5 psi provides adequate protection for most situations and 3 psi is more than enough for any application. The pressure relief valve will activate at approximately 5.4 psi on the gun cases and 4.3 psi on the scope covers. Click on the thumbnails below to watch videos detailing the various inflation methods. What are the three valves for on the inflation mechanism? The main valve in the center is the oral inflation valve. You can press and blow into this valve to inflate the product. Additionally, you may also use an air compressor with a blow gun attachment to inflate the product through this valve. The black rubber ball valve is used for inflation with a product that can accept an inflation needle like a recreational ball pump or bike tire pump. The third valve, with the white mechanism inside, is the automatic pressure relief valve. This valve will activate at or above approximately 5.4 psi to bleed off pressure to prevent bladder damage and will close automatically once a safe pressure is reached. NEVER insert an inflation needle or other inflation product into this valve. What happens if I accidentally over-inflate my device or if it sits out in the sun or a hot car building up pressure? No worries there; your inflatable device comes standard with an automatic pressure relief valve that will activate at approximately 5.4 psi. Once enough pressure has been bled off, the valve will automatically close to seal the system back up. I accidentally inserted the inflation needle into the pressure relief valve; what do I do? Call Air Armor Tech at (817) 487-3837. The rubber inflation valve popped out during the inflation process; can I fix it? Yes, simply push the conical end of the valve down into the manifold to seat it. The face of the valve should be approximately flush with the end of the manifold. Once inflated with air, my gun case won’t zip up or is very difficult to zip up. Is that normal? Yes, your case will be hard to zip, as it should be! This is just a product of the pressurized bladder and is a good thing because it means that the contents of the case are well protected. Can I wash the exterior nylon shell of my product? Yes you can! First, you must remove the air bladder from the exterior shell per your products owners manual. To hand wash, take a rag or a brush with some hot, soapy water and scrub the area you want to clean. If you are seeking a deeper clean, you may put the entire exterior nylon shell in a conventional washer and wash with mild detergent on the delicate cycle (make sure all buckles and Velcro strips are secure). Let the product air dry once you are done cleaning; DO NOT PUT THE NYLON SHELL IN THE DRYER. What can I do if I puncture the bladder or if it bursts from overpressure? You are provided with two Tear-Aid patches that can be used to repair a punctured bladder. Click on the thumbnail below to watch a brief video outlining the repair process. For more intricate repair instructions, you may consult your product’s Owner’s Manual found on the respective product page of the website. What are the tabs and shock cord on the scope cover used for? The tabs (also known as “ears”) are designed to fold down to protect the eyepiece and objective of your optic. The shock cord is used to hold the ears in place, whether that be in the down position providing protection or in the up position allowing you to see clearly through your optics with the cover still fully mounted. Why use air instead of traditional foam? Simply stated, air is a fluid capable of being quickly moved to inflate or deflate the protective bladder — Inflate to Protect, Deflate to Store. When inflated your case will protect as well as a high-end hard case; however, when deflated it will take up 15% of the space of a conventional hard case! Additionally foam has a tendency to hold moisture, which is bad news for any weapon as surface rust can quickly form on most metal surfaces. Furthermore, foam will deteriorate over time under normal use and deterioration will be accelerated with exposure to cleaning oils and solvents that remain on our weapons after cleaning. Will it protect as well as my hard case does? It will protect as well if not better! 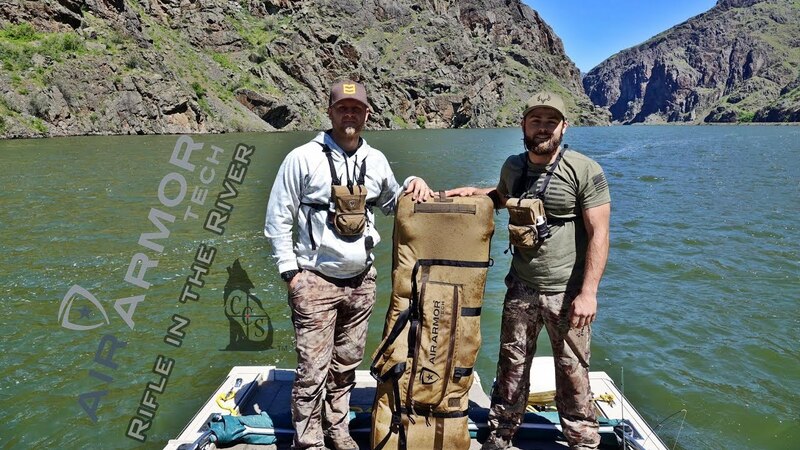 The patent pending air bladder technology completely surrounds the contents with a cushion of air that is able to absorb energy and mitigate the sharp impulse associated with impact. 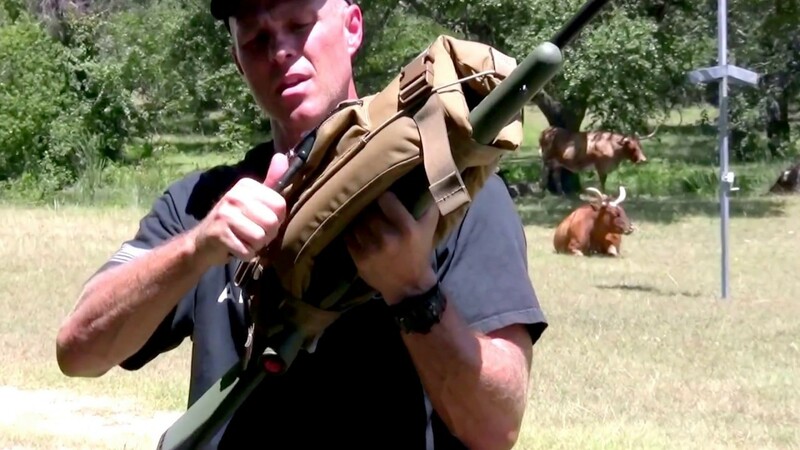 Additionally, with the weapon securing straps and muzzle containment pockets, at no time will your weapon’s buttstock or muzzle come in contact with a hard surface which could be potentially damaging. How long can I leave my product inflated? You can leave your product inflated indefinitely! Just realize that it will lose pressure over time with changes in atmospheric conditions and through normal gas diffusion/effusion. Do I need to take everything out of my product before I fold or roll it for storage? Any large or sharp/pointed items should be removed prior to folding or rolling your product for storage. Any smaller items can be left in the case/cover; however, these items will add extra bulk to your products final folded/rolled configuration. How long can my inflatable device be stored in a rolled or folded configuration? Your deflated case can be rolled/folded and stored indefinitely! If storing for long term storage, it is recommended that the product be kept in a climate controlled area out of direct sunlight. Can I put a hot gun in the case? Just like any other foam or nylon case you may own, it is not recommended to put a hot gun directly into your case after shooting. A warm barrel can be put in the case if necessary; however, allowing it to cool down first is always the preferred option. If you absolutely must put a hot barrel (in excess of 350 degrees Fahrenheit), be aware that the Cordura fabric may melt and the integrity of the air bladder may be compromised. In this worst case scenario, your air bladder should be repairable with the supplied Tear-Aid patches to get you back up and running again. 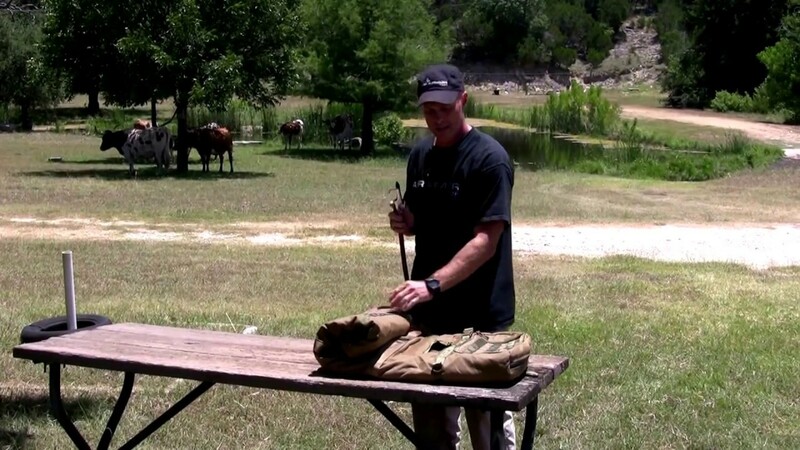 Are Air Armor Tech Gun Cases waterproof? 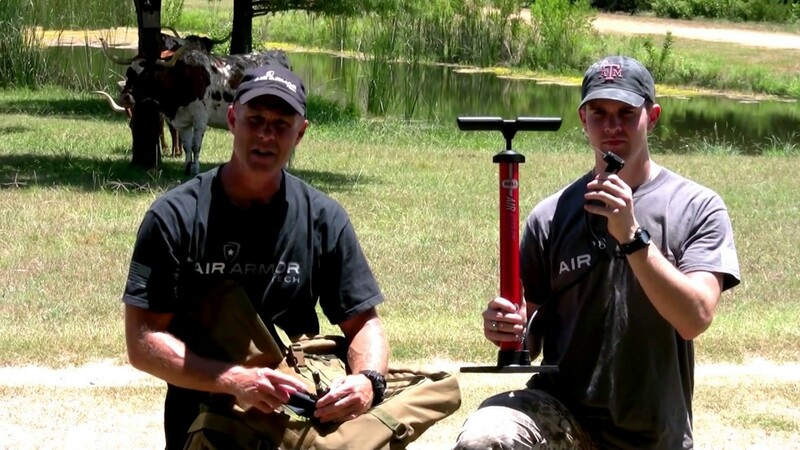 Air Armor Tech Gun Cases are water RESISTANT; however, they are not waterPROOF. All AAT Gun Cases are coated with a water resistant UV coating as well as a water resistant zipper that allows water (like rain) to simply bead off. Under normal use (carrying cases in rain or accidentally dropping case in water) no water should enter and come in contact with the case contents. If forcibly submerged for more than a few minutes, water will begin to seep in through various openings. When mounting the scope cover, does the scope go inside of the Cordura shell? No, it sure doesn’t! Our covers are made to wrap around your optic so you can still glass, and even shoot, with the scope cover fully mounted. Simply place the cover on top of the scope with the Air Armor Tech logos on the outside, secure the cover to your weapon with the adjustable buckles and inflate! For more detailed instructions on mounting your scope cover, you can visit any of the scope cover product pages and scroll down to find the link to the Tactical 12/Extreme 16 Owners Manual. Yes, all Air Armor Tech products will float! The scope covers will float approximately 20 lbs and the gun cases will float approximately 180 lbs! Keep in mind, none of these products are certified flotation devices but they will float nonetheless. Click on the thumbnail below to see it in action! Can I put my bow in the gun case? Yes! Most bows with shorter brace heights fit surprisingly well in the gun cases. We are also working on a dedicated bow case in our future line of products. Is the gun case TSA/Airline approved? No, the gun case is not TSA/Airline certified; however, we are in the process of designing a case that would satisfy TSA guidelines. Can I still attach aftermarket products to my weapon, such as a sling or bipods, with the scope cover mounted? Absolutely! Air Armor Tech Scope Covers are designed to work on all platforms with limited interference, if any. On most applications, the straps wrap around the grip and the middle of the forend so all sling and bipod attachment points should be clear of obstruction. However, as AR type platforms are highly modifiable, we cannot guarantee that the straps will not interfere with your specific setup. Any interference will be minor and should not affect product functionality.